As you know Windows has some in-built short commands to open some applications or system folders directly from Run. 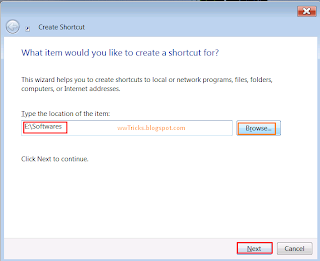 This feature of Windows is very helpful when you want to open any system application or system folder without knowing the exact location/Path of the folder/shortcut. As we are using run commands most of times i.e We type Regedit (for registry editor). CMD (For Command Prompt) etc. But This is not for all of the folders and files By default, So here we are going to give you this simple and easy trick This trick will let you create your own run command for any folder/application so next time you don't need to navigate to the folder path you just need to type the command in RUN. I personally recommending you to Create a Run command for those Files and folders that you are using rapidly. Step-1: First of all Right click on desktop and select 'NEW' and then select 'Shortcut'. 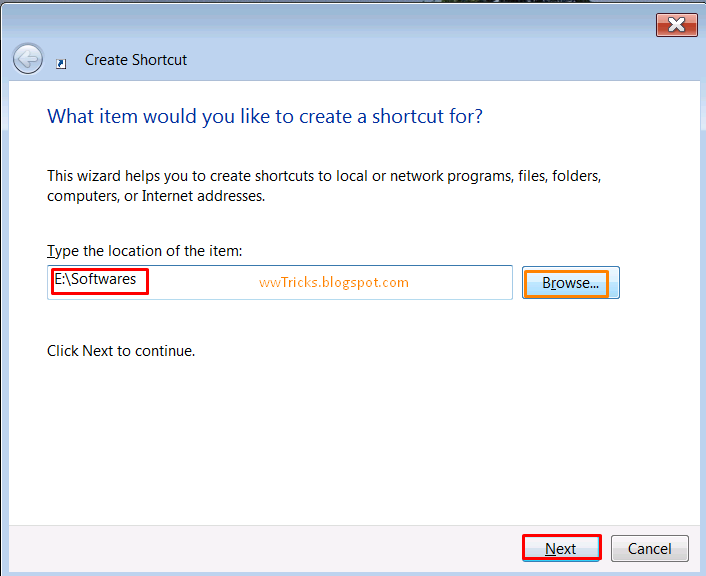 Step-2: A little window named "Create shortcut" will pop-up. here either you've to type location of the folder or click on Browse and browse the folder or file for which you want to set a run command. 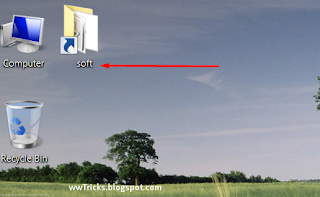 Let i have a folder 'Softwares' in E drive So i will type "E:/Softwares" as given below, And click on Next. Step-3: After clicking on 'Next' it will ask you to type a name for your shortcut, so type any name (This name will be used in Run to open the folder/file) and click on finish. Let i'll give it name 'Soft'. Step-4: After clicking on finish you'll see a shortcut with the name you given (i.e Soft). Now Just Cut this shortcut and paste it to C:/Windows folder. Step-5: Now every step is done you was required for creating your own run commands for a file or folder. Only one is required is to check whether it is working or not? So for satisfaction windows button + R (open RUN) and Type the name (you given to the shortcut) i,e Soft and hit Enter.After typing the name and hitting enter you can see the file or folder for which you created shortcut earlier. Step-6(optional): This is an optional step and is up-to you, If you liked this post and it helped you a bit then please share it with your friends on social media networks you are using. We'll be very thankful to you! your every share is more value-able for us and can give us a lot of support. so keep supporting us. Also leave your more value-able comment below. Thanks for dropping your comment!